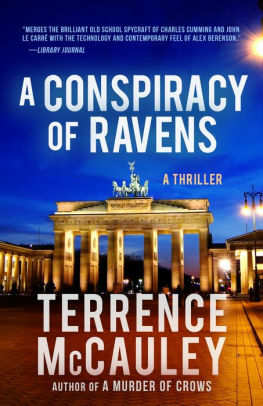 MY BOOK, THE MOVIE: Terrence McCauley's "A Conspiracy of Ravens"
Terrence P. McCauley is an award-winning writer of crime fiction and thrillers. I get asked this question quite a bit and I always enjoy answering it. 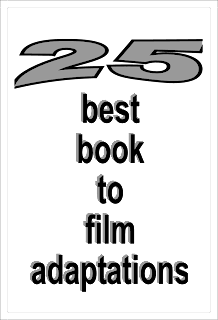 I'm a big fan of movies both new and classic, so I've been known to borrow inspiration from actors throughout the history of cinema in my writing. The University/James Hicks series has some interesting characters. For my main character, James Hicks, I'd love to see Jeremy Renner in the role. He's versatile enough to play the many facets of the character convincingly. While we're dreaming, I'd love to see Robert Downey, Jr. play Roger Cobb. Some people envision these characters a little older, so if that was the case, Bryan Cranston as Hicks and Stanley Tucci as Cobb. As far as directors go, people might laugh at my suggestion, but I'd love to see Ben Affleck do it. I think he could become one of our great directors if he dedicated himself to it full time. I like him as an actor, but the work he did in Argo was incredible. That easily could have been an incredibly boring movie, but he turned it into a nail-biter. I think he could work the same magic with my work.